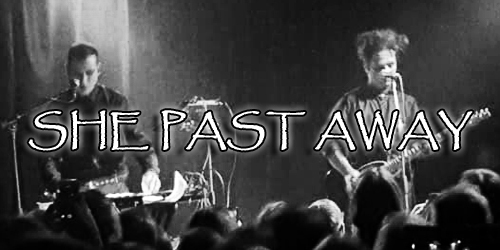 Blending moody darkwave and post-punk with minimalist poetic lyrics, Turkish darkwave band She Past Away has signed with Metropolis Records. Revered in the band’s home country, Metropolis will be bringing the band to these shores with reissues of two of She Past Away’s releases, 2012’s Belirdi Gece (“This Night”) and 2015’s Narin Yalnizlik (“Delicate Solitude”). The band’s sound has been described as “a driving, mesmerizing outburst of sentimental anxiety through the nihilistic mind-frame. It is both personal and broad, like a wondering mind brave enough to question taboo and existence.” With a release date of January 18, 2019, Belirdi Gece and Narin Yalnizlik will be released in CD, digital, and limited edition vinyl with pre-orders for both now available via Bandcamp and the Metropolis Records webstore; both albums are also available via the She Past Away Bandcamp. Earlier this year, She Past Away released a music video for the track “Soluk” (“Pale”), the first track on Narin Yalnizlik. Directed by Dimitris Chaz Lee, the video features photography by Alex Sinodinos and acting by fellow darkwave band Drab Majesty.